This charming window is from Time to Remember which is at the top of Quarry Road, just as it changes from Camden Road. 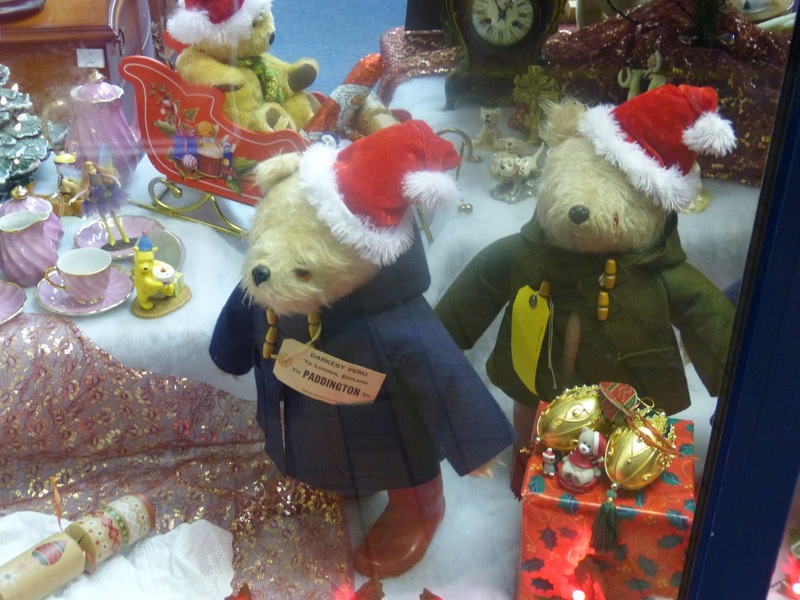 The whole of this window display is dedicated to the children of St. Barnabas School. An antique shop specialising in Clocks it is a timely reminder of my own childhood. I had a Paddington Bear, mine had yellow Wellington's, he may even still be in the loft. He never wore a Father Christmas hat. In my more mature years, I think I would prefer the pink tea set just visible to the left of the picture.